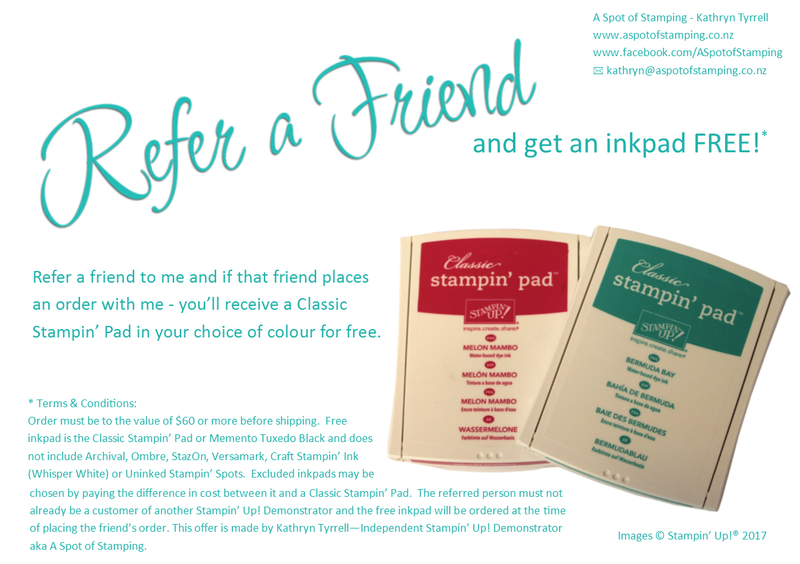 Don't you just love these new products from Stampin' Up! 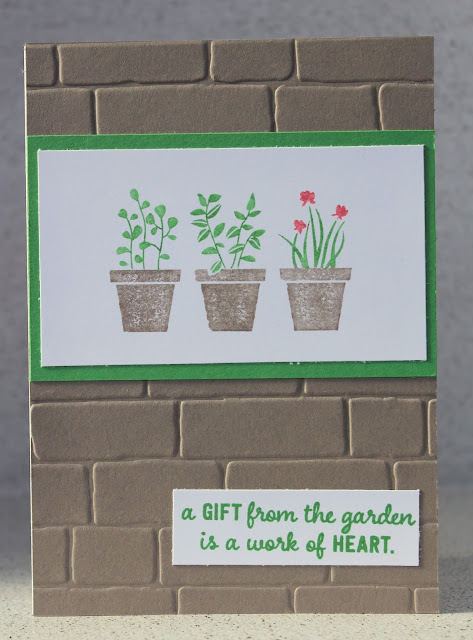 This brick wall embossing folder is larger than our other embossing folders at 6"x6" and it looks fabulous. The stamp set I've used is called "Gift from the Garden" and I've used 3 of the new in-colours. Come along to my free catalogue launch workshop next Sunday to see this and more new products. We'll be making a card using the new Ronald McDonald House Charity stamp set called "Sprinkles of Life". The angle I've taken the photo on makes it look like the top of my card isn't straight - oops!